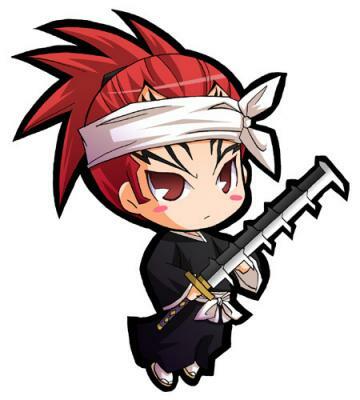 चीबी Renji. . Wallpaper and background images in the ब्लीच ऐनीमे club tagged: bleach chibi renji abarai shinigami. This ब्लीच ऐनीमे fan art might contain falchion, फाल्शियन, क्लेमार, क्लेमोर, कटार, स्टीकर, डैगर, स्टिकर, and चाकू.